hot tub benefits- Sunny's Pools & More! Hot tub season is beginning at Viscount Pools West. At Viscount Pools West, we love hot tubs! Our wonderful customers purchase Dimension One Spas or Viking Spas hot tubs from us for many reasons. Here is a list of the top three reasons why you should buy a hot tub at our Livonia, Macomb, Monroe, Waterford or Flat Rock locations! Did you know that getting in a hot tub can make you sleep better at night? Hot tubs increase your body temperature and makes it easier for you to fall asleep. Using a hot tub can also relieve aches and pains by promoting circulation and reducing swelling. The steam from the hot tub can also help while you are congested. 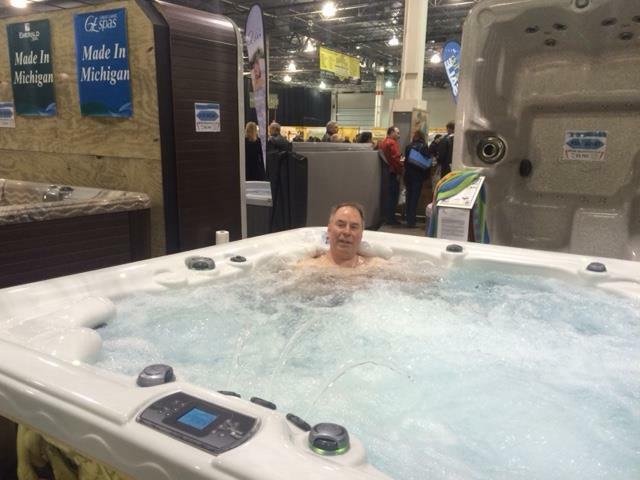 There is a certain prestige that people get when they buy a hot tub in Michigan. Purchasing a hot tub could increase your social status. Hot tubs will also increase the value of your home. Homes with hot tubs in them sell better. Who doesn’t want a hot tub after all? Hot tubs can be used all year around for entertainment. Enjoy cool summer nights in your hot tub. In the winter, you could have parties with a warm hot tub as entertainment for your guests. Don’t want to get wet? You could add a fountain with colored lights. This will give your hot tub a decorative look while incorporating it into party. Viscount Pools West has a variety of hot tubs and hot tub accessories (including thermal hot tub covers) that you need to make your life complete. 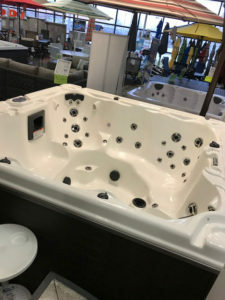 So if you need a hot tub in southeastern Michigan, don’t forget to come to your favorite pool supplies and billiards store. Contact us or visit one of our locations.